APP’s ProTek U-Bolts are in stock and combine the strength and simplicity of a u-bolt with our advanced polymer technology. They successfully restrain the pipe while shielding it from metal to metal contact and rough abrasion from pipe movement. The ProTek coating is strong enough to withstand high compressive loads and harsh environmental conditions, but has a low coefficient of friction to seamlessly cradle the pipe. The thermoplastic coating holds up in all environments and has a low coefficient of friction to allow pipe movement. 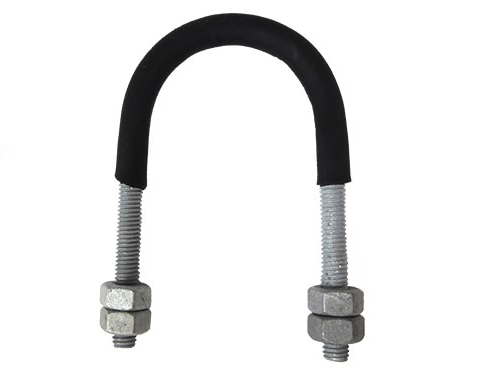 The robustly constructed u-bolt is built to Grinnell figure 137, comes standard as hot dipped galvanized and is supplied with 4 heavy hex nuts.